Allegra Boverman/Gloucester Daily Times. 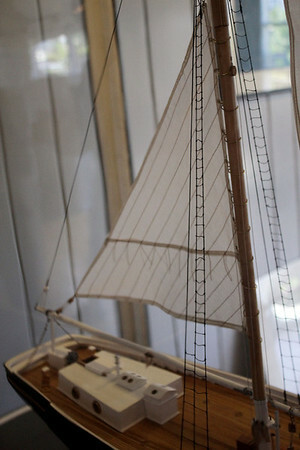 Detail of the model boat Paul Gran, a summer resident of Rockport, built of the Evelina M. Goulart, which is housed at the Essex Shipbuilding Museum. The model is now on display there, too.